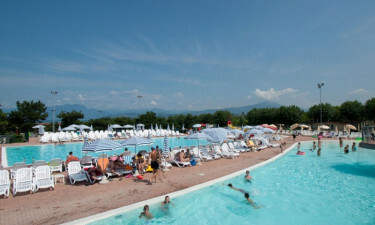 Set in the heart of the glorious Nervia Valley, close to the enchanting gothic village of Isolabona, camping luxury awaits at Park Delle Rose. This LUX-camp offers state-of-the-art mobile homes surrounded by nature. It is positioned just 12 kilometres from the coast and is impressively located, being just 6 kilometres from the well-known and newly renovated ancient sulphur thermal spring at Pigna, and just 32 kilometres from the fascinating principality of Monaco. It is perfect for families and children of all ages, as well as couples and singles who love to be surrounded by the wonders of nature. There is a bus service outside the luxury camping site, and there are plenty of opportunities for interesting excursions, swimming in the azure coloured sea, chilling out under the sun, and walking and hiking. So if this sounds like you and your family, go ahead and make your camping holiday booking now to make sure you get the dates you need! 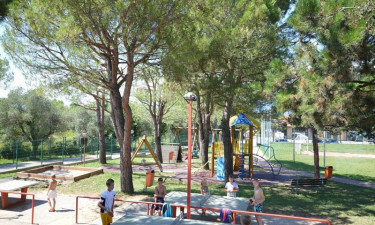 Why should I camp at Camping Park Delle Rose? Enjoy a fabulous trip away from your luxury camping site to the opulent world of tiny Monaco and its capital, Monte Carlo. Check out the stupendous view from the Place du Casino's terrace, and the glamorous Port of Monaco, visit the Monte Carlo central park and take a stroll down the Boulevards des Moulins and Princesse, where you can enjoy a coffee and look out for the rich and famous! The holiday camping site slopes softly downwards towards Lake Garda. This is one of the most beautiful spots on the coast, and is enchanting for adults and children alike. 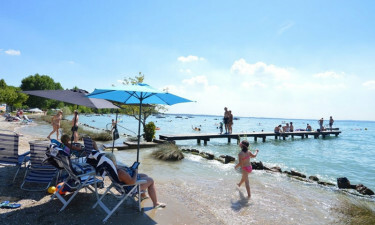 There is a wealth of opportunities available, such as taking a boat ride, fishing or enjoying water sports such as windsurfing, kite surfing, canoeing and horse riding. Paying a fun trip to the magnificent medieval region of Pigna for hot spring therapy is one of the most popular things to do for all the family. This thermal treatment is renowned as a popular remedy for general wellness and all kinds of musculo-skeletal problems, as well as eczema, high blood pressure and an assortment of other conditions. The great thing about luxury camping is that the facilities are first-class. 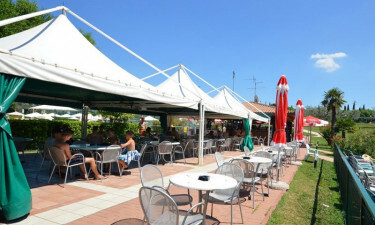 The holiday camping site caters for all tastes in food, and offers authentic Italian dishes as well. The campsite bar is super friendly and has everything you could want to drink. In addition to this, there is a huge choice of bars and restaurants in the local villages and in Monaco. There is a great assortment of grocery, clothes and souvenir shops for all the family, both in the nearby villages and in Monaco, which is a shopper's paradise.